The magazine, which featured Pittsburgh in its July/August 2015 issue, selected Pittsburgh among a group of other cities including Toronto, Tokyo, Copenhagen, and Singapore, among others, which were selected for distinction in other areas ranging from walkability to culture, transportation planning, and landscapes. 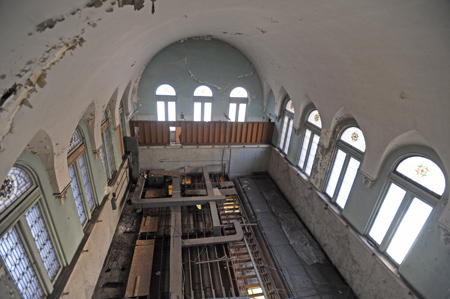 “This is a great recognition for our city, which is showing the world that through adaptive reuse of our historic buildings, historic preservation is an underlying basis for social, human, and economic renewal,” said Mayor William Peduto. In May, Mayor Peduto announced the completion of the restoration of 11 facades on 10 significant historic buildings in Downtown as part of the City’s ongoing revitalization of its core business district through historic preservation principles. 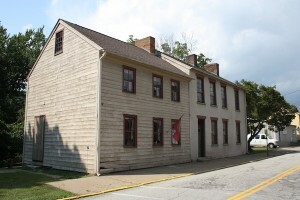 The buildings’ facades were restored by PHLF through a Redevelopment Assistance Capital Program grant from the Commonwealth of Pennsylvania awarded to the City through its Urban Redevelopment Authority. 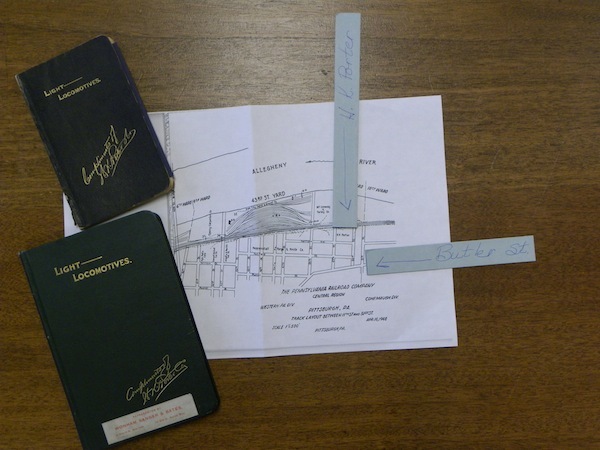 Most of the information in the Fairbanks Archive is in straight, printed text form. 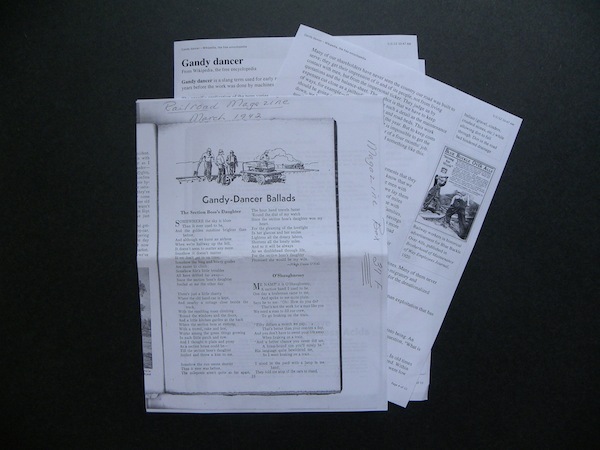 However, a small selection of material is presented in the form of questions and answers––or even poetry, song, and humor. 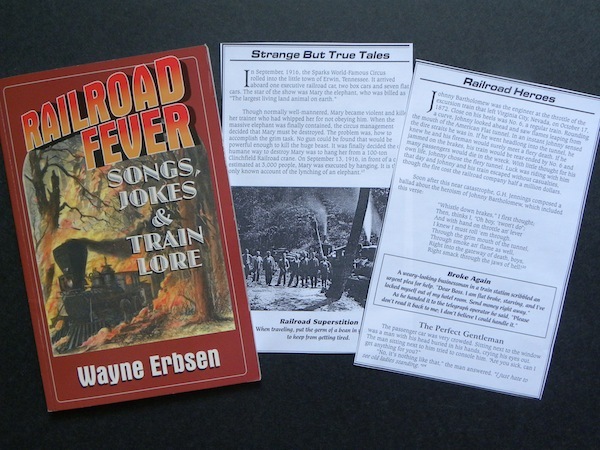 In most cases, these presentations are not used by the serious researcher, but there is merit in perusing these forms, especially in recalling the days when railroads were one of the most important industries in our country. 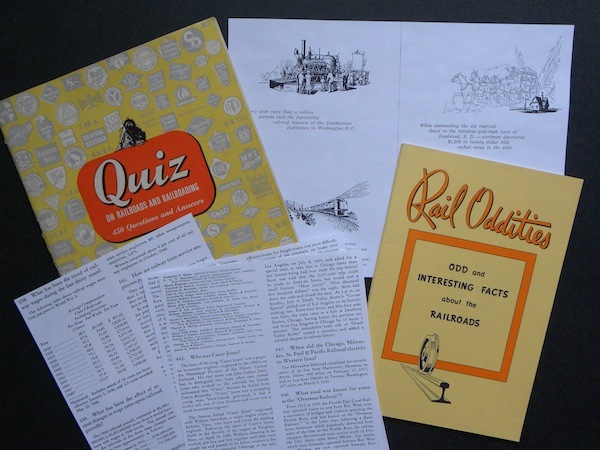 The “quiz” booklets are full of information about the railroad industry at its peak. After seeing how valuable, efficient, and practical railroads were for people in their daily lives, one really wishes to bring back this wonderful era of transportation. 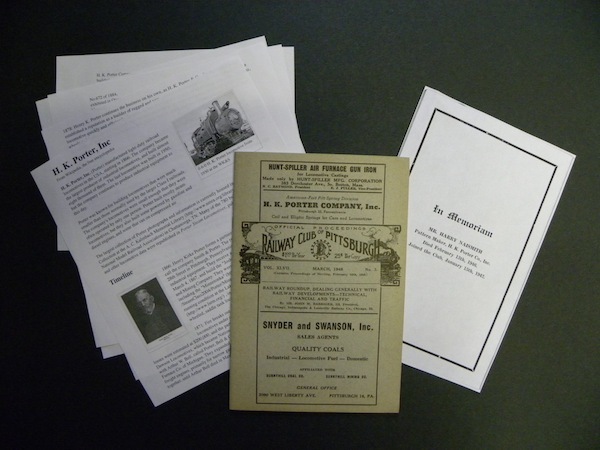 Most of the booklets shown below were printed in the 1940s and early 1950s. Reading through the pages, nostalgia and respect for this time period comes through loud and clear. For those who are interested in “looking back,” come to the Archive any Wednesday and enjoy the “lighter side” of our collection. Here are some of the items you’ll find. According to the Wikipedia, Gandy dancer is a slang term used for early railroad workers who laid and maintained railroad tracks in the years before the work was done by machines. The term also refers to the movements (the dance) by the workers as they used the heavy levers to keep the tracks aligned. The swinging movement was necessary as the men worked in concert at this hard, physical work. Tracks had to be constantly realigned due to the roadbed shifting. 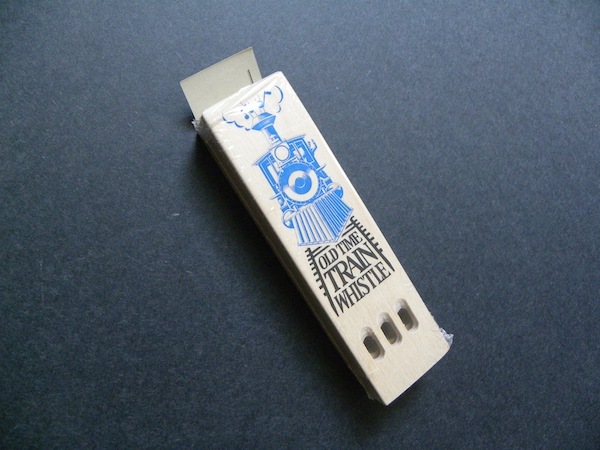 A fun (but authentic in sound) old-time train whistle. The songs are great, but the jokes . . . These booklets will steep you in nostalgia for the recent past. The Frank B. Fairbanks Rail Transportation Archive is open by appointment on Mondays, from 10:00 a.m. to 5:00 p.m. Use of the archive is free to PHLF members (one of the benefits! ); non-members are assessed a $10 use fee. 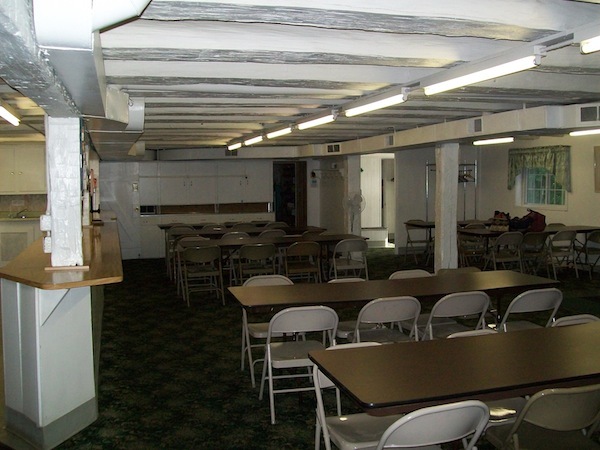 The Archive is located on the fourth floor of The Landmarks Building at Station Square, in the offices of the Pittsburgh History & Landmarks Foundation. “A private car is not an acquired taste. One takes to it immediately,” quipped Mrs. August Belmont Jr. nearly a century ago; she was the grande dame of New York City’s Belmont banking dynasty. The following five photographs show some of the special trains and names. 1. The Archive has nearly 70 issues (up to and including the most recent issue), of the magazine PRIVATE VARNISH. This magazine, published by The American Association of Private Railroad Car Owners, Inc., is a spectacular publication that highlights the privately owned railroad cars across the country. 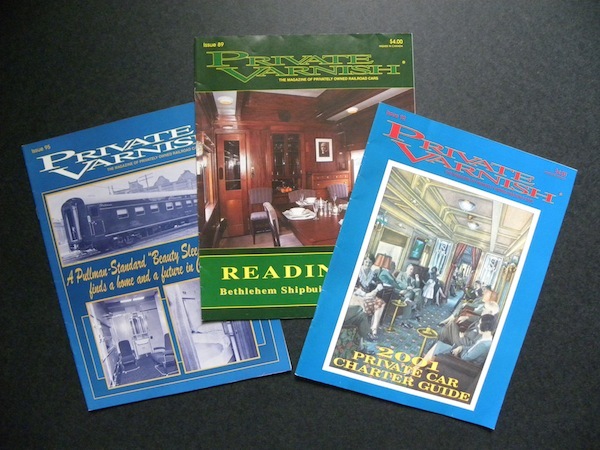 The magazine is filled with fantastic photos and articles and diagrams of railcar interiors; it also includes a large section of cars for rent, with all specifics needed, and, as an added bonus, gives the history of the car. What a fun trip back into American history of the privileged. 2. Here is an example from Private Varnish (2001 Private Car Charter Guide), page 14, of the F. W. Woolworth family car. Socialite Barbara Hutton often used this car during her courtship with Cary Grant. Dante Stephensen was the owner of this car at the time of his death in 2011. As a railroad buff and owner of a large nightclub in Atlanta, Stephensen corresponded with Frank Fairbanks in the 1980s. The correspondence is in the Archive. 3. 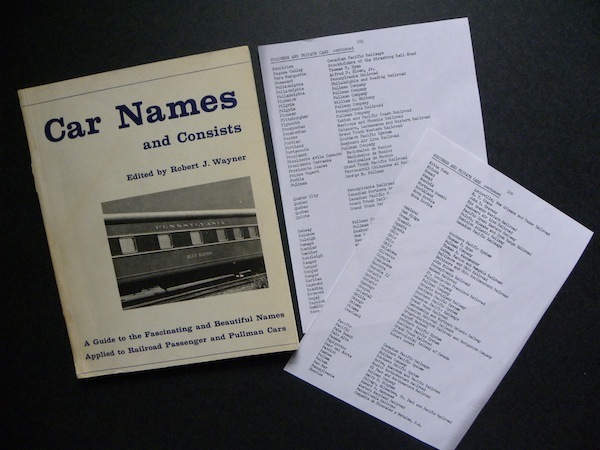 Cover and page examples from Car Names and Consists, by Robert J. Wayner. Published by the author, New York, 1963. 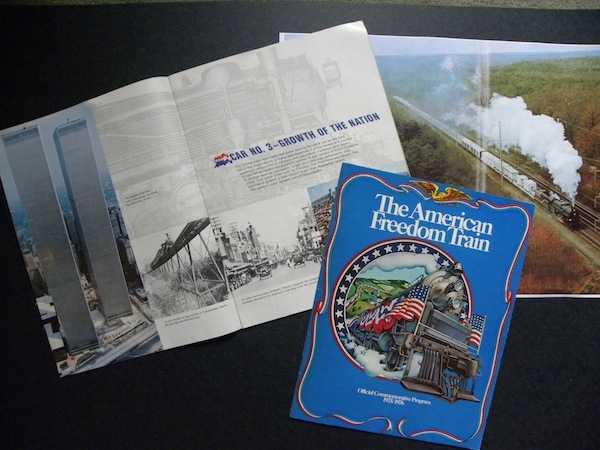 1975-1976: Within the ten display cars, a panorama of 200 years of the American experience was shown. These cars included a variety of images: from quaint sayings in Poor Richard’s Almanac to the bewildering complexities of a Lunar Landing Module; from Washington’s handwritten notes in the margin of a Constitution, to FDR’s war message to Congress. 5. These photos are taken from the book Pennsylvania Railroad Business & Special Cars: A Century of Tuscan Red Deluxe, by Chuck Blardone. 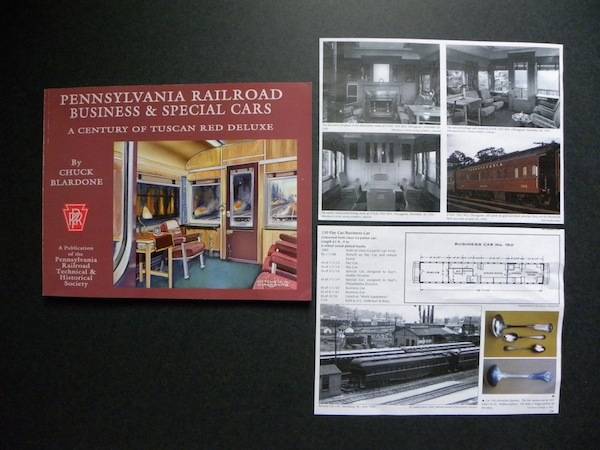 This book is in the Archive and is a publication of the Pennsylvania Railroad Technical & Historical Society. 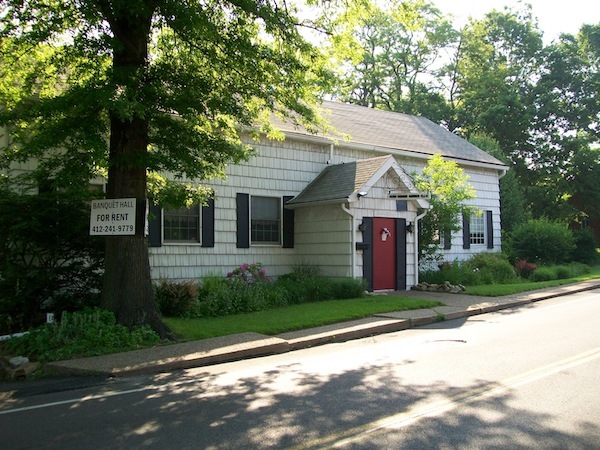 The Pittsburgh History & Landmarks Foundation has learned that the non-profit owner of a historic commercial property in the Penn Hills area is considering selling the property. The two-story, 4,492 square foot facility has an occupancy permit for 100 people and parking spaces for 25 cars. 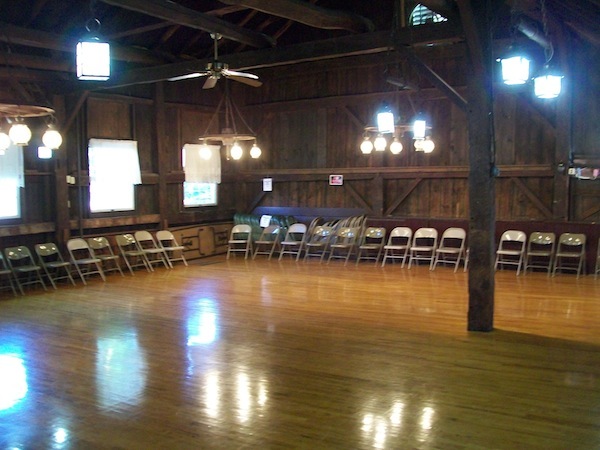 The building includes a stage, dance floor, downstairs meeting area with an equipped kitchen. 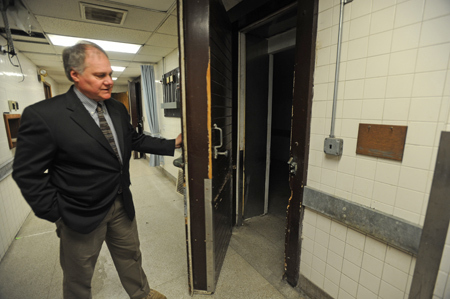 The owners plan to place a preservation easement on the property as a condition of any sale. 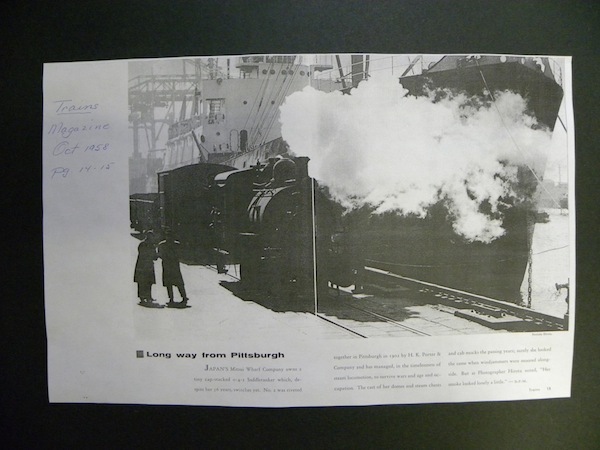 The exclusive specialty of Pittsburgh’s H. K. Porter Co. was the manufacture of light locomotives, steam and compressed air. 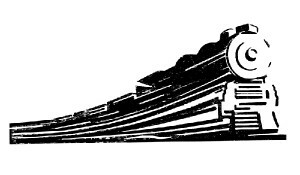 H. K. Porter manufactured these locomotives in every variety of size and design, and to any practicable gauge of track, be it wide or narrow. The business was begun in 1866 by the firm of Smith & Porter. It was succeeded in 1871 by Porter, Bell & Company, in 1878 by H. K. Porter & Company, and in 1899 by the H. K. Porter Company. 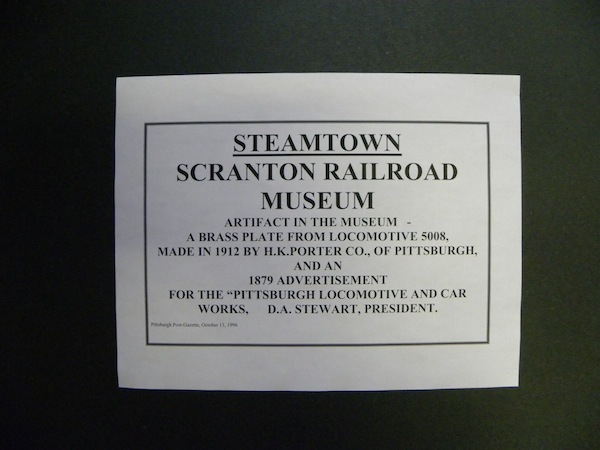 The first catalog, printed in 1874, contained 59 small pages and described 17 locomotives. 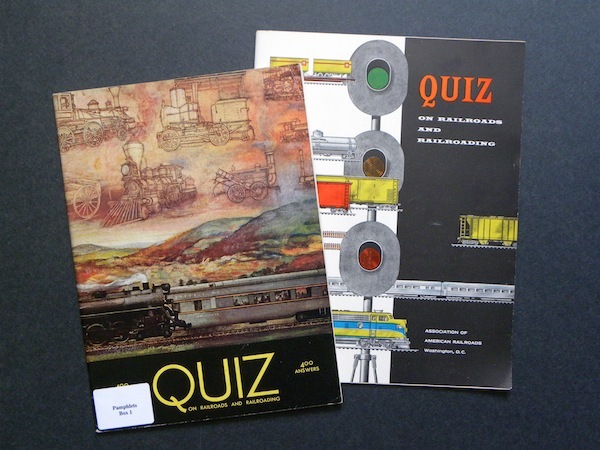 A Tenth Edition contained 224 pages and described 559 locomotives. Each design in these catalogs was original to the company. The annual capacity of the first shop, which was destroyed by fire in 1871, was 15 to 25 locomotives. 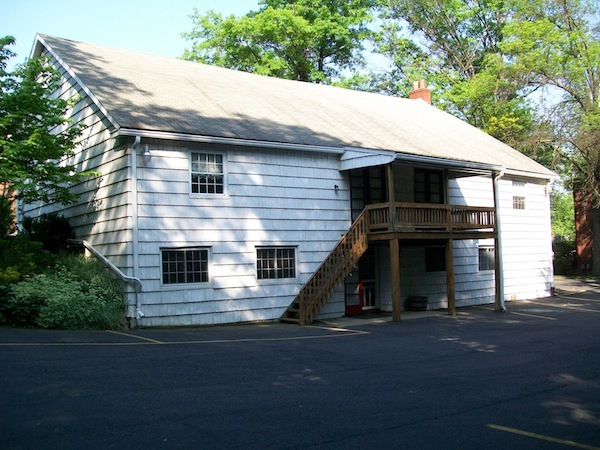 The early shop at the 49th Street site in Lawrenceville (from 1872-1880) produced about 75 locomotives a year. As the shops enlarged, starting in 1881, output grew to 400 locomotives a year. 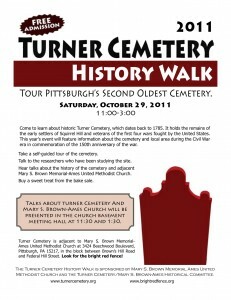 The company was very proud of its work and its location here in Pittsburgh. It was a great advantage to be able to obtain supplies quickly and to be able to easily transport the locomotives. 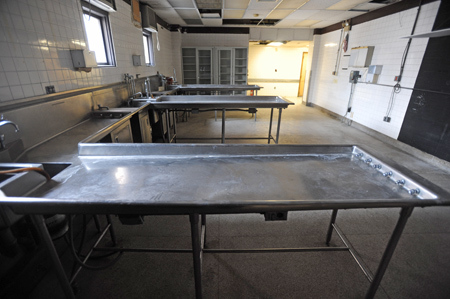 The company used natural gas for forging and case-hardening. Their duplicate system was a most valuable feature for the times. By means of original and duplicate drawings and records, standard gauges and templates, and special tools and machines were made interchangeable for each locomotive with all others of the same size and class. 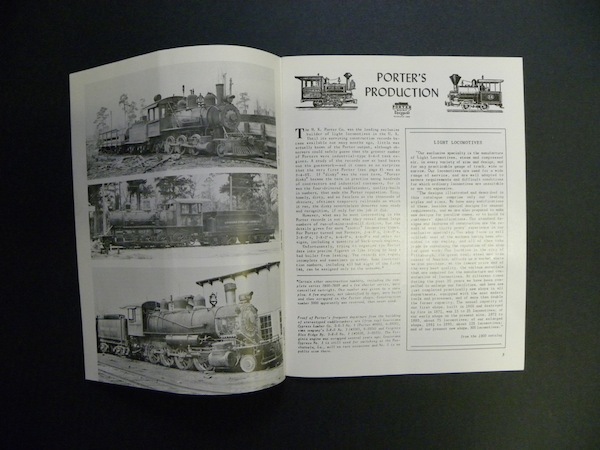 The Frank B. Fairbanks Rail Transportation Archive has two very valuable catalogs from this company. The Sixth Edition Light Locomotives, printed in 1889, and the Tenth Edition (no date) Light Locomotives, both have the signature of H. K. Porter signed in gold on the cover. The books––in perfect condition––give an interested reader much to enjoy. Some of the chapters and topics covered are: prices of locomotives; standard specifications for various sizes of locomotives; hauling capacities; grades; cautions; curvatures; gauges; best designs for trolleys; logging; coal mines, etc. The illustrations are clean and clear. After World War II, business declined. The company built its last locomotive for an industry in Brazil in 1950. After that, the parts business and all the required patterns were sold to the Davenport Locomotive Works in Iowa. 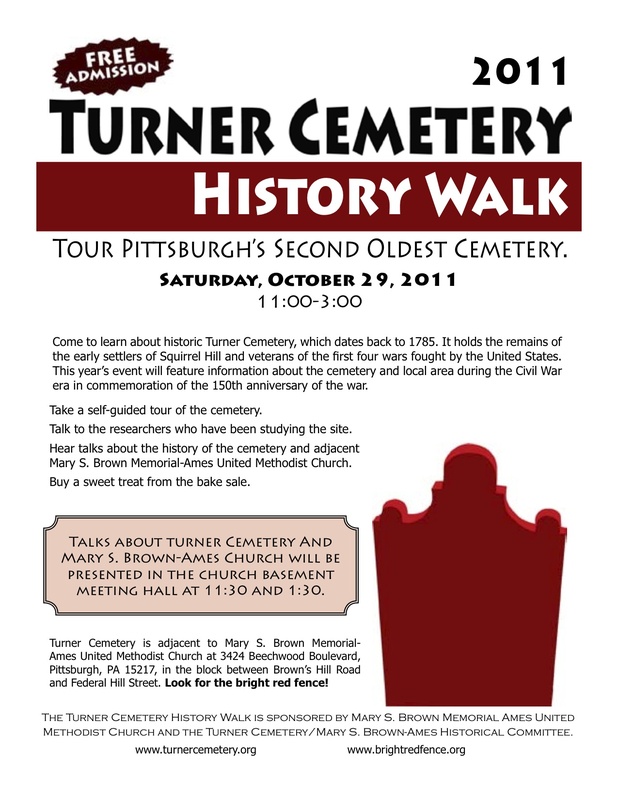 A large number of Pittsburghers were employed at the H. K. Porter works in Lawrenceville over the years. Many of us drive by the former site of the company works without giving this successful locomotive business a passing thought. The Sixth and Tenth Edition catalogs give the addresses of their offices and shops (see photo caption 1, below). Next time you walk, bike, or drive by these addresses, give a nod of remembrance to this fine old company, once so important in our area. Special Note: If anyone had a family member who worked at the H. K. Porter Company, please e-mail their name and work position to fairbanksarchive@phlf.org so we may add that information to the Archive. Also, any physical remembrances that you might wish to donate to our collection from this company would be gratefully accepted. Sixth Edition Catalog (1889). Office: Corner of Smithfield and Water Streets [now Fort Pitt Boulevard], Monongahela House Building [replaced by United Way Building]. Works: On Allegheny Valley R.R., 49th to 50th Streets, Pittsburgh, Pa. Tenth Edition Catalog (no date). Office: Union Bank Building [now The Carlyle], Fourth Avenue and Wood Street, 12th Floor. Works: On Pennsylvania Railroad B & A V Div., 49th Street, Pittsburgh, Pa. The July 12, 2012 edition of the Pittsburgh Tribune Review (section B) features an article about several Lawrenceville renewal projects. One of the major developments is the renovation to the H. K. Porter office building, to house 34 apartments. The H. K. Porter Company was a Pittsburgh locomotive business for many years, supplying small, powerful engines for local industry. There is preservation warmth in bringing back to life a remembrance of our great industrial heritage. The rivers brought so much to our area, and with industry gone, housing along those same rivers can keep our city alive and thriving. The entire newspaper article is now on file along with other H. K. Porter materials in the Fairbanks Archive. You are invited to come and read the article, see our H. K. Porter materials, and enjoy the entire Archive.